This race of bovine humanoids looks as if it were plucked from the pages of a classical Greek text or from any of the countless pieces of popular fiction that the ancient works inspired. With the head, legs, and tail of a bull or cow, and a humanoid body, they are the legendary creature incarnate. Minotaur are fixtures of the Civilized Lands and beyond, known for their physical strength and endurance, and for their strength of family and community. 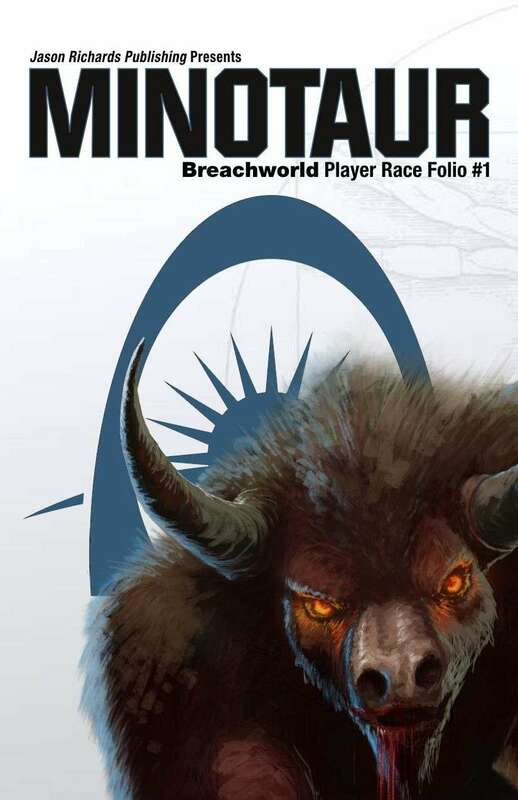 The first in a series of mini-expansions for the Breachworld RPG, the Minotaur is a unique and new character race, fully integrated into the fabric of the world. Everyone has a budget. Knowing that, Jason Richards Publishing supports "Pay What You Want" pricing. If you enjoy Breachworld and its supplements, remember that paying a fair price for the product enhances future supplements by covering production costs. A better return means upgraded art, new material, and an overall improved gaming experience! We think this is fair and affordable, but you have the final say. Thanks for gaming with us!